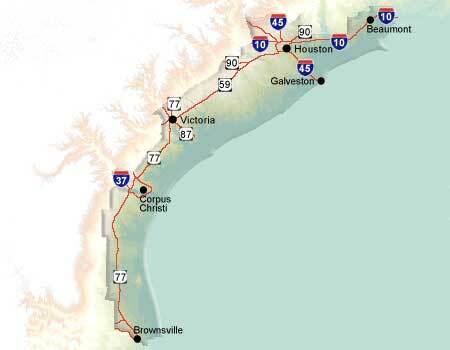 The Gulf Coast Region of Texas is 350 miles long, spanning from South Padre Island to the Louisiana border. It is in some aspects a playground, luring millions of visitors per year to it's natural beauty, wonderful beaches, and its abundant wildlife. The region is also the home of America's space program.